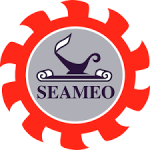 The Southeast Asian Ministers of Education Organization (SEAMEO) is a regional organisation established by the Ministers of Education in Southeast Asian countries. The establishment of SEAMEO is a result of a meeting among five Ministers of Education (Lao PDR, Malaysia, Singapore, Thailand and Vietnam); the Chairperson of UNESCO National Commission of the Philippines; and the Special Adviser to the President of the United States of America in Bangkok on 30 November 1965. Over the course of time, other countries in Southeast Asia began to join SEAMEO. It is formed to develop regional cooperation in education, science and culture in the region. Based in Bangkok, Thailand, currently, SEAMEO has 11 Member Countries. To alleviate the scope and quality of its services, SEAMEO cooperates with countries and institutions beyond Southeast Asia that constitute SEAMEO Associate and Affiliate Members. SEAMEO collaborates with its Member Countries, Associate as well as Affiliate Members to develop human capacities in the region. To increase the effectiveness of its programmes, SEAMEO establishes 21 regional Centres as its subordinate bodies on education, science and culture across Southeast Asia with their respective specialisations. Each Centre is responsible for developing the human resource in the region through seminars, training, workshops, conferences, courses, research and other Continuous Professional Development programmes. Collectively, the ministers of the Member Countries form a highest bureaucratic body of the organisation, SEAMEO Council. The Council reserves the right to control the policy and administration of the Centres. Together, all regional Centres synergise for the betterment of the Southeast Asia region.